It’s a new year and a new you… for now, anyway. 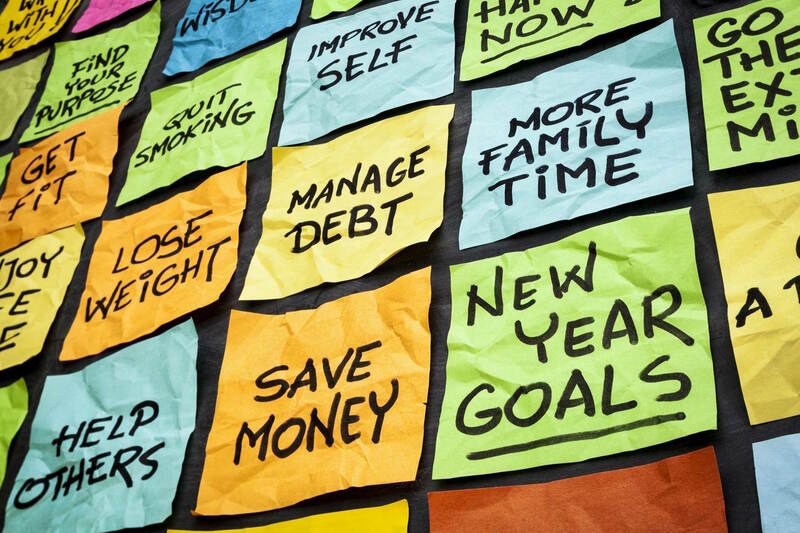 Surveys have shown that less than ten percent of people who set New Year’s resolutions actually achieve their goals. Why? Most commonly, it’s because the resolutions are overly ambitious; the goals are too difficult to attain and become a source of stress rather than satisfaction. The key is to create simple, clear-cut goals. (You can always take the next step once a resolution is met.) The following are a few tangible New Year’s resolutions and how to achieve them. 1) Weight Loss: Losing weight is hard work, so don’t set unrealistic goals for yourself; you’ll only get discouraged or worse, compromise your health in an attempt to shed pounds too quickly. Instead, make reasonable monthly goals for yourself. Losing a few pounds a month may not seem like much now, but if you alter your diet and exercise just enough to stay the course, the results will be noticeable come next January 1. 2) Learn a New Skill: Lack of time is one of the number one reasons people give up on their resolutions, but no one masters a skill immediately. Cut out an hour of television each week and dedicate it toward learning something you’re passionate about (either on your own or with an instructor). 3) Make Better Financial Decisions: Want to spend money more wisely this year? Start by making a budget. Create a chart of what you make in a month, and then subtract your monthly expenses. Don’t forget to budget for the things you enjoy. (It’s unrealistic to remove fun from your budget entirely.) Month to month, determine where you can reduce your spending until you have a financially responsible budget.